Twin brothers Brian and Chris Green aren’t sure what rationale was used to select GCU as a super regional host site for the Sweet 16 and Elite 8 rounds of the NCAA Division II men’s soccer tournament. “All I can say is we’re just lucky to be hosting,” Brian Green said. “When we found out Monday morning, no one cheered because (Coach Petar Draksin) was having a serious talk. But inside, we were cheering. GCU, the No. 2 seed in the West Region and ranked No. 7 in the country, was chosen as the host over Simon Fraser University, which is the No. 1 seed in the West and ranked No. 2 in Division II. The Antelopes and Clan meet at 7:30 p.m. Thursday at GCU Soccer Field for the West Region title. The South Central Region will also play its Sweet 16-round games at GCU, with top-seeded Regis University (ranked No. 3 in Division II) facing third-seeded Incarnate Word at 4:30 p.m. Thursday for that region’s championship. The West Region and South Central Region champs meet at 7 p.m. Saturday at GCU, with a spot in the NCAA Final Four in Evans, Ga., on the line. Simon Fraser, near Vancouver, British Columbia, is the only NCAA member located outside of the United States. It earned the right to host as the No. 1 seed in the West, but the logistics of teams traveling to Canada on short notice are impractical. Simon Fraser “hosted” first- and second-round games of the NCAA tournament last week at a neutral site – Cal State University East Bay in Hayward, Calif.
Home or away, GCU (16-2-1) knows it will have its hands full with Simon Fraser (17-1-1), which averages 3.6 goals per game (the Antelopes average 2.6) and has five players who have scored five or more goals this season. Tickets: $5 for adults, $3 for non-GCU students, $1 for children ages 3-12. GCU students can pick up a free ticket by presenting their GCU ID to Tyneshia Johnson in the athletics office on the second floor of the Kaibab Enrollment Center. “If we just focus on the home field, it will be a rude awakening,” Draksin said. “We have to show up with determination, with passion and, most importantly, with concentration. This is the second time in three years the Antelopes have reached the Sweet 16. 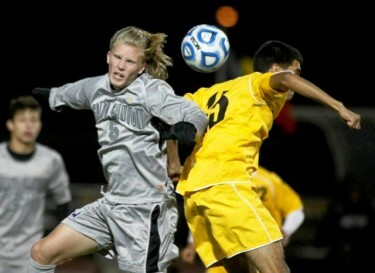 They got here by beating sixth-seeded Cal State Los Angeles in a penalty-kick shootout on Saturday. After regulation and overtime ended in a 1-1 tie, each team scored on its first four penalty kicks. 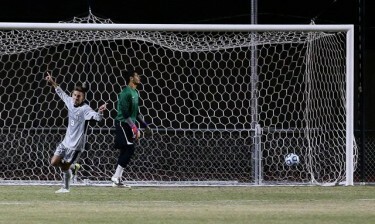 GCU goalkeeper Joshua Zehring then blocked the Eagles’ final attempt by Oscar Carrillo. On the subsequent kick, Brian Green found the back of the net for the clincher, touching off a celebration on the field. That one save has led to at least one more home game.